Research and development is a vital part of maintaining MAT Auto's leadership in OE/OEM/OES and aftermarket. MAT Auto's strategy of meeting each country's technical standards as well as customer specifications requires adequate resources be made available. 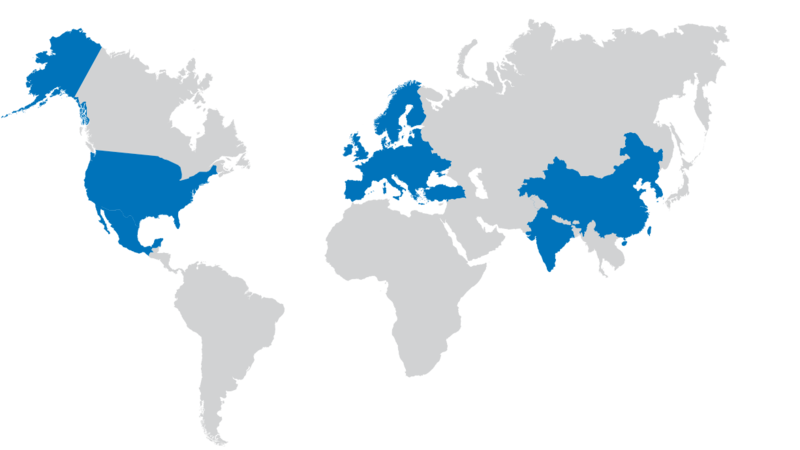 MAT Auto companies maintain 8 R&D engineering locations including 36 dynanometers across the US, Europe, and Asia. MAT Foundry Group maintains 3 R&D centers in Europe - for brake discs in the UK, ductile iron castings in Germany, and industrial components in Denmark. We employ over 50 technical engineers focused on R&D as well as working with customers for new product development. Our engineers have access to "state-of-the-art" processes and equipment such as FMEA analysis, solidification simulations, bench dynameters, and rapid prototype manufacturing. MAT Friction Group develops friction materials according to customer and location requirements including meeting US FMVSS135 and LACT and in Europe to ECE Reg 13/90 plus Mojacar. MAT Friction's R&D engineers develop friction materials for many leading European auto manufacturers that meet and surpass the OE specifications for pad durability and rotor cleaning (NAO), NVH requirements, cost, performance level (AMS, HAMS), and as well as addressing environmental constraints. Today all MAT new product development is copper free. Brake noise is caused by component vibration. Using vibration data our engineers are able to create an accurate computer model of the pad and determine its integration with other brake module components like the knuckle, caliper and rotor. Specialized vibration test combined with advanced modeling techniques allow us to design the most appropriate noise-dampening solutions - like chamfers, slots, and insulators - for each application, minimizing any audible noise. With the growing popularity of alloy wheels, it's become more important than ever before to develop friction formulas that reduce rotor wear - the main cause of brake dust. During product development for our Bendix® friction formulas our engineers relentlessly study material composition, particle size and chemistry. Industry standard Colorometer (Pantone readings) testing then validates that we've achieved the right mix of raw materials and optimized our manufacturing processes, ultimately reducing dust.